Soi 47, 111 King George’s Ave, Singapore 208559. The Soi 47, which is located at King George’s Ave nearby the Lavender MRT station, is the second branch after the successful one at Lorong 6, Toa Payoh. I was introduced to this Thai restaurant by a food blogger who shared the news about the restaurant’s second branch at King George’s Ave last month. 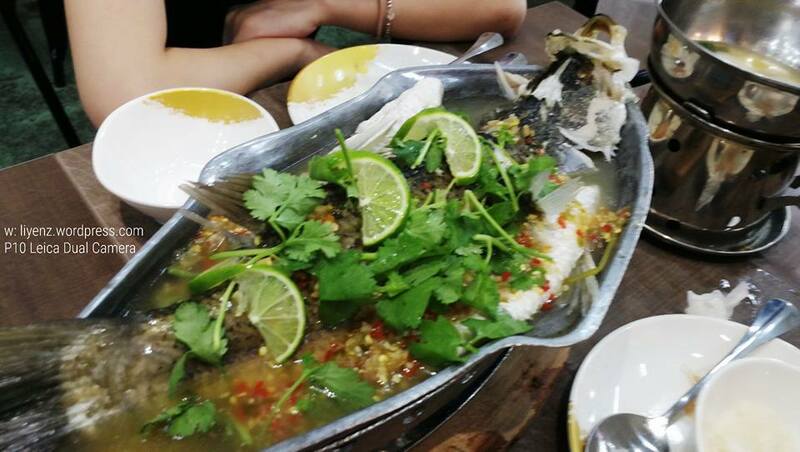 One of their signature fish dishes on their menu, the steamed Seabass with Thai lime sauce. It is worth for a try as the sauce is really good and tasty. The fish was well cooked when it was served and slowly heated up by the fire to keeping the fish hot. It does make the sauce slight tastier after that but do not take too long to finish it else the fish will overcook. For the first time, we tried the crispy fried chicken with sweet lime sauce. The thick sauce over the crispy fried chicken maintained it juiciness inside. However, the portion is a bit small for four persons. 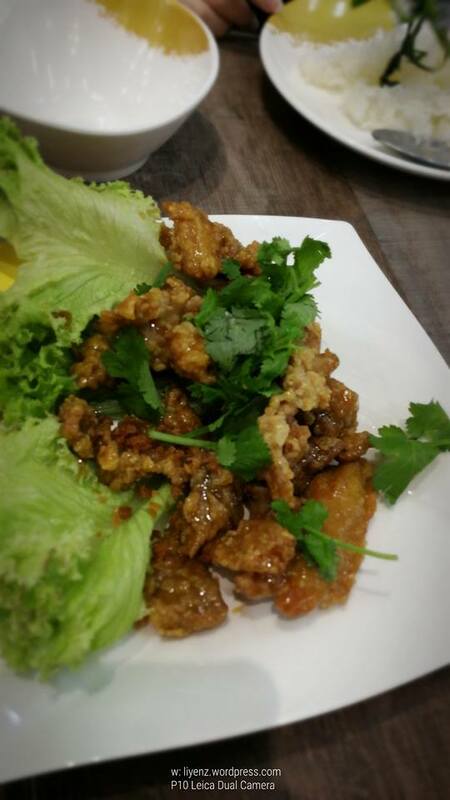 However, if you order with some other dishes, it is just nice as you can try different dishes in small portion. 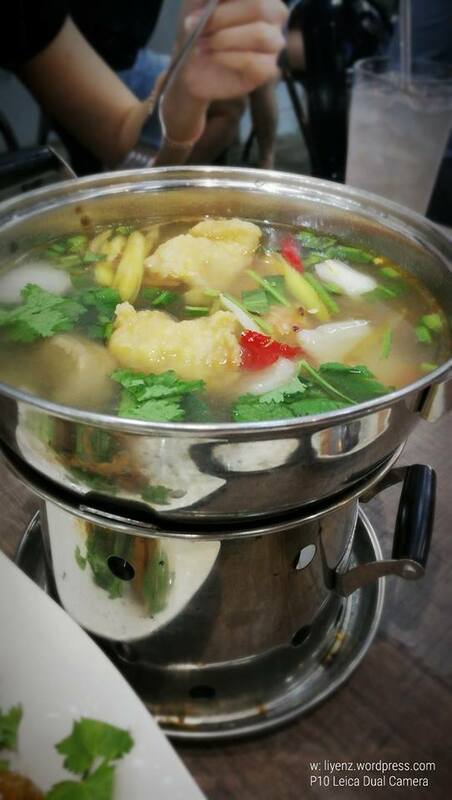 The clear Tom Yam with seafood which consists of fried fish, prawns, mussels and cuttlefish cooked with lemongrass and small chilies padi. 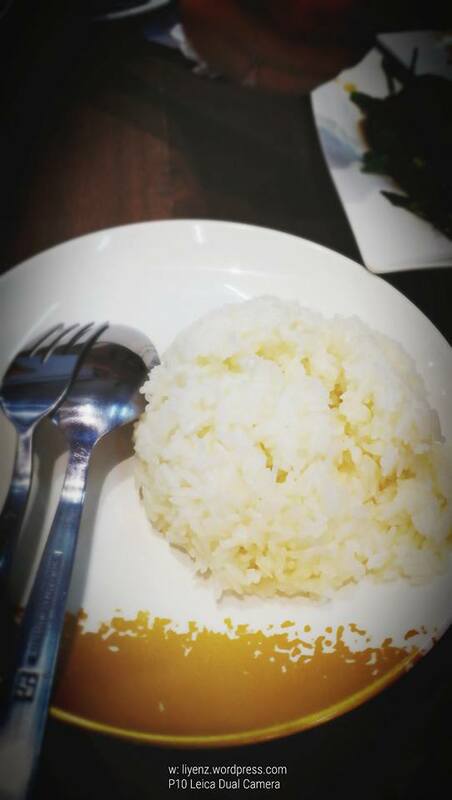 In my opinion it is better than Beer Thai at Golden Mile Complex. We let the soup kept boiling and it is kicking, however, it is not salty. 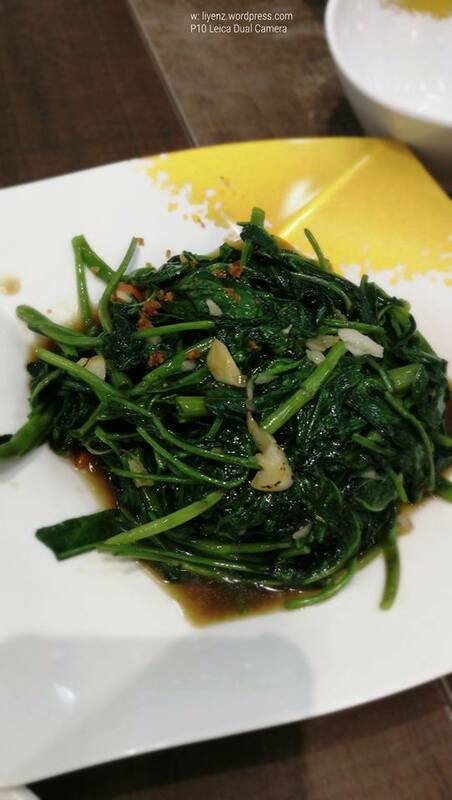 Usually we will order the fried kangkung with sambal, the basic one which we can get it anywhere, they do have fried kangkung with garlic. The fragrance of fried garlic made it worthy to go without sambal. You may want to balance your taste with something neutral after having the tom yam soup and the lime sauce. For dessert, we ordered the sticky mango and a bowl of cold red ruby. Both are favourite and famous Thai desserts. 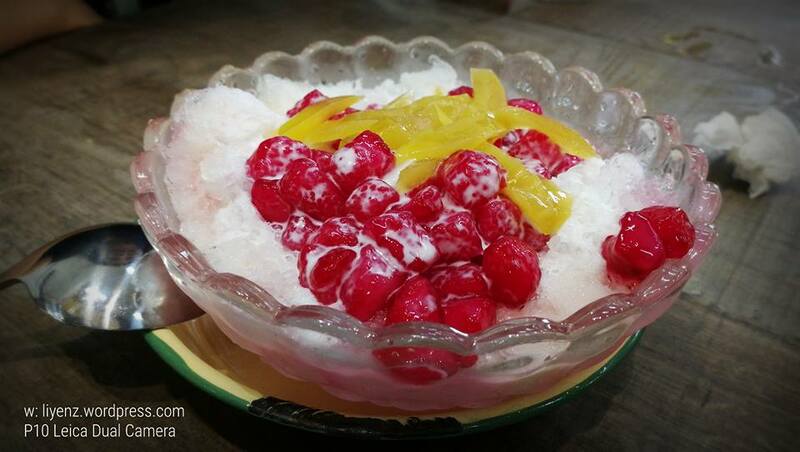 It is using sliced jackfruit and water chestnut coated with red colouring tapioca flour, boiled in the hot water, combined with coconut milk, sugar syrup and ice. 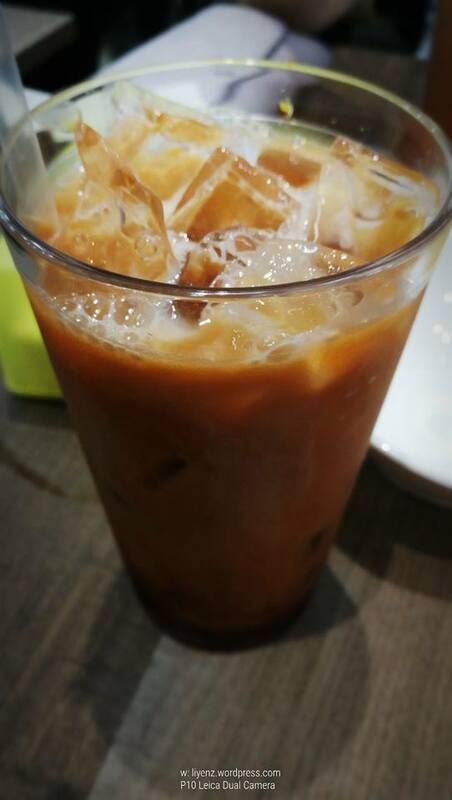 Last but no least, iced Thai milk tea can go with or without. It is not too sweet style as the usual local Thai milk tea does.